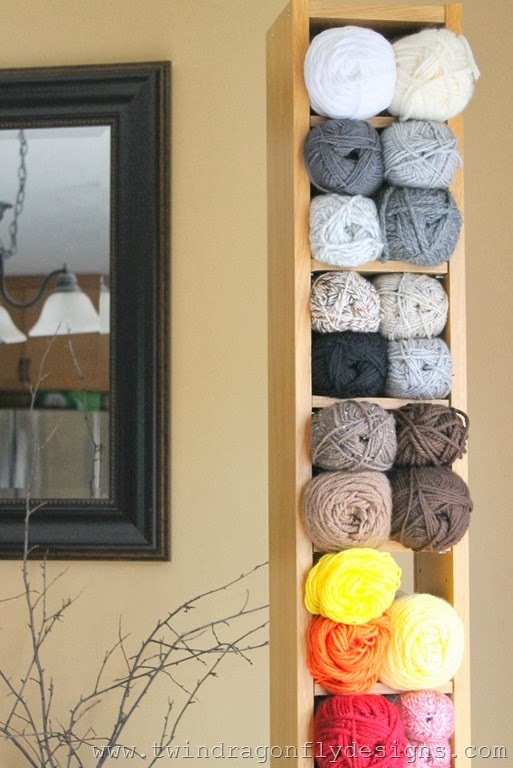 Today I have a simple yarn storage solution to share with you! 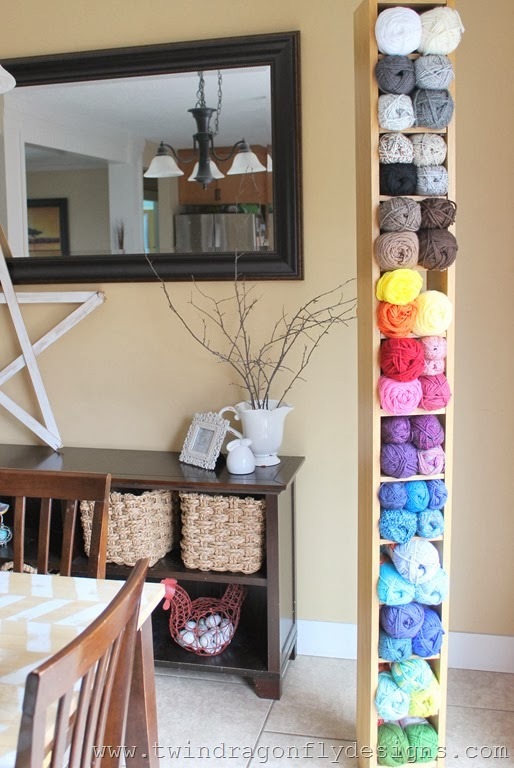 We have been all crochet, all the time on the blog recently which has lead me to search for new ways to store my yarn. I have a shelf in my craft room reserved for yarn but it was starting to overflow and look sadly unorganized. 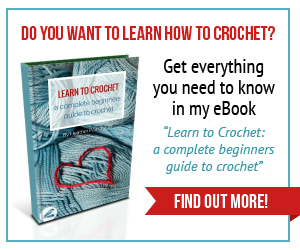 Now my yarn is colour coordinated and easy for me to access and see. 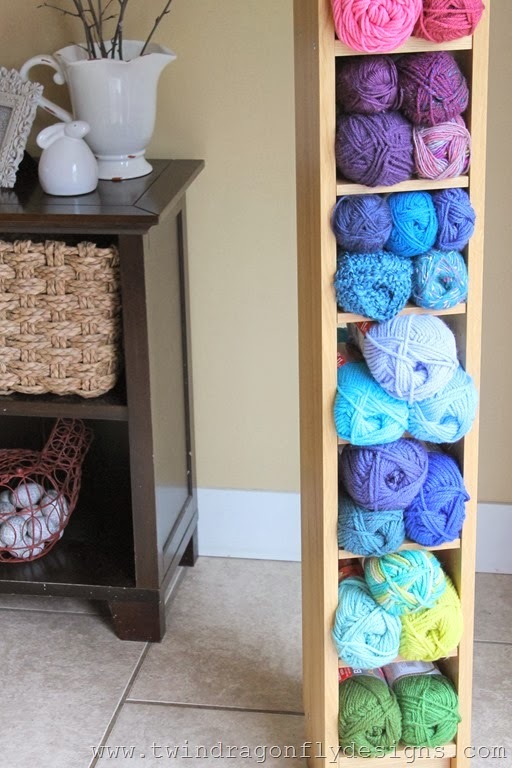 I have put one of each skein of yarn that I own into this storage unit. Then duplicate, extra skeins are in a rubbermaid storage tote in my craft room. When I use up a skein from here I just replace it with one from the tote. Here’s what the CD rack looked like when I found it at a local thrift store for $5. I took the back off so that larger skeins of yarn could hang out the back of the unit. All of the shelves and pegs were intact and just needed to be put in place. After finishing a project I usually have bits and pieces of yarn left over. 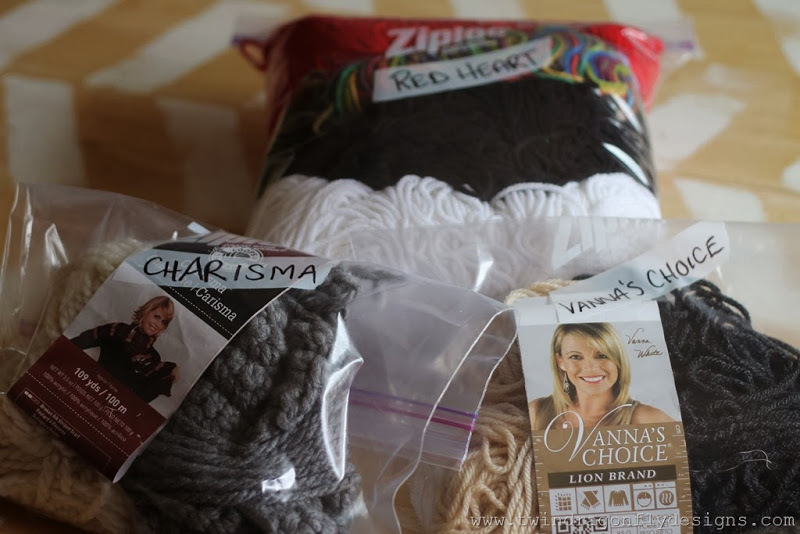 I put this extra yarn into XL Ziploc bags and labelled them with the brand of yarn that was in each one. 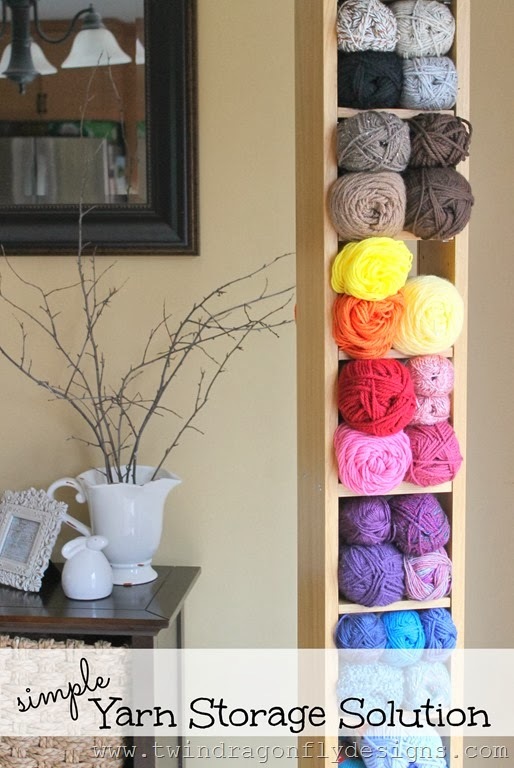 Do you have a unique way to store your yarn? Oh my word I LOVE it! 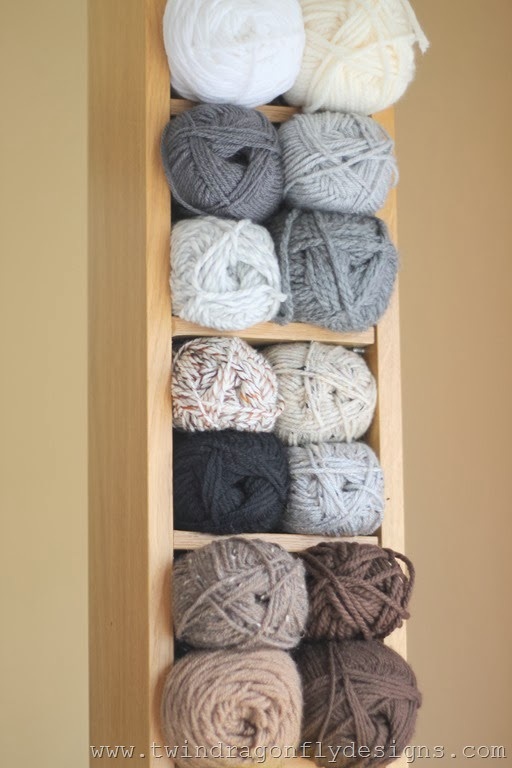 I keep stepping on all my skeins of yarn overflowing in my office and bedroom…this organization method is great and takes up minimal space AND is cute cute cute!!! Thanks for posting this! 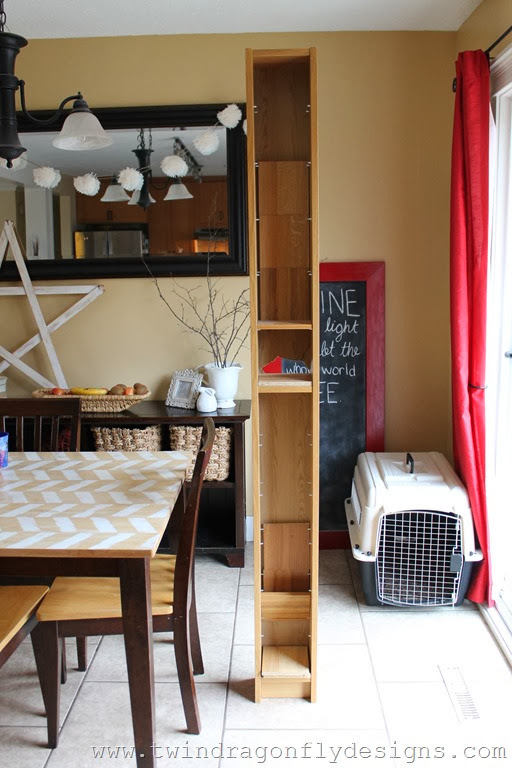 I purchased a couple Entertainment Centers with doors, and store my yarn in them. I can see what I have, and the doors protect the yarn from dust and bright light. I love ’em!